There is a multitude of headphones configurations, and it can get pretty confusing when you're trying to figure how which kind you want to buy. Here we go over the different designs of headphones (and earphones and ear buds) and the type of audience who may find it the most appealing. Over-ear headphones (also called around the ear) feature ear cups, or cushions, that surround your entire ear. The cushions are often made of foam or memory foam and come covered in a variety of materials, including leather or suede. Other types of over-ear headphones are DJ headphones, which usually have one (or both) ear cups able to swivel away from the headband, and gaming headsets. If you're looking to communicate with others during gameplay, it's worth purchasing a headset. Advantages to over-ear headphones include immersive sound and comfort, although some people dislike the heaviness of the headphones. Drawbacks include the lack of portability. While many models fold up or come with a carrying case, they can't be easily tucked into your pocket and many people find them awkward when exercising. On-ear headphones are slightly smaller than over-ear headphones, and their ear cushions are designed to rest directly on the ear. They are often less expensive than their over-ear counterparts, and they usually weigh a bit less. Earphones and in-ear headphones enter the ear canal. They feature removable tips or flanges that are designed to isolate outside noise. These tips come in several different materials, including silicone, rubber and memory foam. Earphones and earbuds are often used in athletic settings, and as a result, they can be found in different configurations. Styles include those with ear clips that wrap around the outside of part of the ear or the entire ear or those with bands that are worn around the neck. If you're thinking of buying earphones for athletic use, also take a look at cord management systems to prevent getting tangled up while exercising. 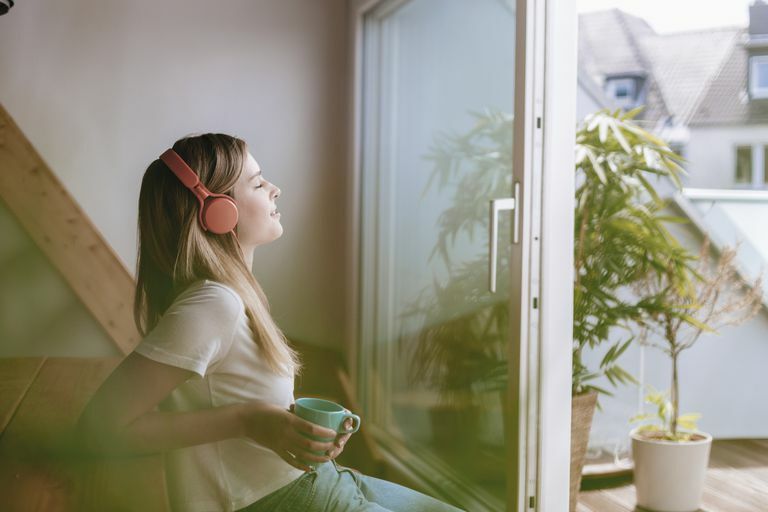 Buying wireless headphones or earphones can be a great purchase because you're trading in the wires for different types of technologies, such as infrared (IR), radio frequency (RF), Bluetooth, or Kleer. Each technology has a different range and a different amount of sound degradation that occurs. Many headphones, especially earphones, now come with an in-line microphone and/or controls to control a portable music player or take calls on a smartphone. However, be sure that your device is supported by the headphones you buy. Some headphones will only support iPhones, for example, which means that the volume controls won't work if you plug them into your Android.